The aetiologic agent producing metastatic embolic pneumonia reaches the lungs via the bloodstream and can affect the entire lung, producing focal lesions 1-2 mm in diameter. 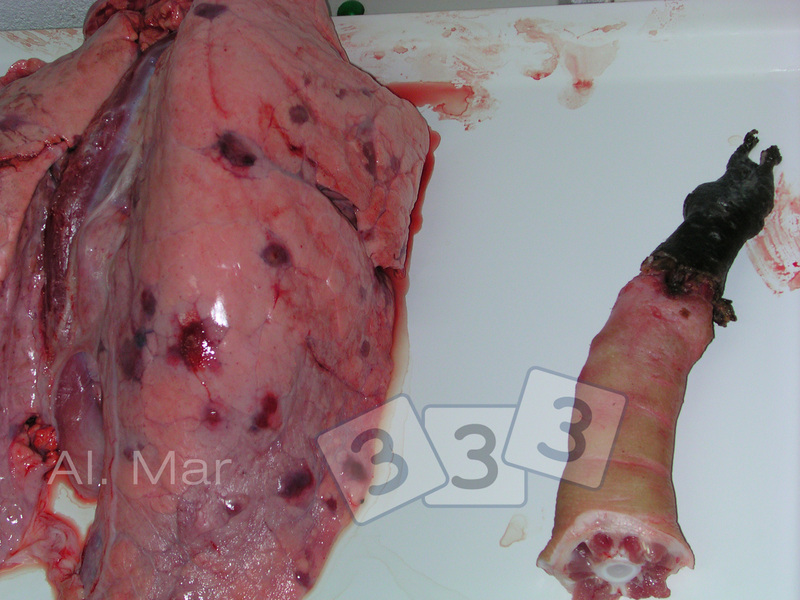 This lung was spotted in a slaughterhouse and belongs to a fattener in which the origin of the pneumonia was linked to an infection caused by repeated tail biting. Some cases are caused by foreign body inhalation through the nose.